According to Yaffed’s press release, these haredi schools typically offer an average of one-and-a-half hours of general studies on a regular school day, and English and math is only taught until students reach the age of 13, at which point their secular education is terminated entirely. Some graduates have alleged this disproportionate education has led them to become professionally stunted, unable to obtain financial independence, or enter into successful careers. Yaffed officials are pushing for extended instruction hours; expansion of secular instruction in other subject areas besides English and math; and continuing secular instruction even into high school, among other reforms. In an effort to protect its supporters, Yaffed said it has withheld the names of the signatories and the targeted schools. The group has retained attorneys Normal Siegel and Herbert Teitelbaum to represent their interests with the New York City Department of Education. Upon receipt on Monday of a letter signed by 52 members of Brooklyn’s Jewish community charging that an alarming number of local yeshivas are in violation of state education laws by shortchange students on time spent on secular education, officials for the DOE say they will investigate the matter. The new Yevsektzia, yimach shmom. We stood up to Achaz and Hadrian, and we stood up to the Yevsektzia and Stalin; what makes them think we will be deterred by the likes of them? Where are their firing squads and gulags? You really do write nonsense from time to time. Parents have no business complaining. If they don’t want their children to have a kosher chinuch, let them send them elsewhere. Nobody has a right to send their child to a cheder and then demand that it change its nature. I don’t believe this group includes any parents of yeshivah students. And why does a parent have a right towithhold an education from their child, causing a deficiency in their ability to support themselves in this tough economy? religious or not a parent has no business abusing a child and causing them major future damage for the sake of some supposedly religios ideal. But statistically most are on welfare. let them first check the muslims, who teach hate against the US and all of whom they term infidels. how foolish they are, do they think they are doing something purposeful? Silly. One more thing: the expression “חייב אדם ללמד את בנו אומנות” does not seem to exist in any source of halacha. The gemara (kidushin 29a) does quote a braisa that האב חייב בבנו […] וללמדו אומנות, but Ein Mishpat gives no reference for this, which means that it’s not brought down in halacha. And at the end of Kiddushin the conclusion is מניח אני כל אומנות שבעולם ואיני מלמד את בני אלא תורה. Even according to those who hold that there is such an obligation, 1) it doesn’t apply until it’s needed, which is when the son has already learned Torah and is ready to get married; and 2) it doesn’t apply in a country with an extensive welfare and tzedaka system, where everybody is able to keep a family fed, clothed, and housed without resorting to crime. Lechol hadei’os there is no obligation to ensure that one’s son can make a high income and live a life of luxury. Though I agree with you on the subject, the Shulchan Aruch Orach Chayim (Alter Rebbe) 306:13 does write that it is a Mitzvah. That is called abusing the welfare system. I’m going to make a wild guess that you don’t think that not getting an education and working is just fine for other ethnicities. They’re just lazy leaches, right? 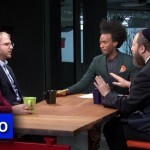 What’s with these Yaffed people? The chiyuv is on the parents, not the yeshivas. If they want better secular education, can’t they find a Yeshiva that will provide them with more secular education. Which Rav gave them a heter to go to secular courts? Yes, it is mesirah, and nobody gave them a heter, because they are ex-frum activists, just like the Yevsektzia, and don’t care about halacha at all. They stand no chance, no worries. This is not Messirah, this is Redifah!!! As someone pointed out, if you don’t want a kosher education, go get what fits you. I for one want all my children to learn pure על טהרת הקודש! Great idea! Bring the secular Department of Education into this. They’re doing a great job with all the NYC public school, are they not? Look at everyone who comes out of the public schools. They’re so financially independent and well off! With the economy improving they will be. or widespread use of welfare. Just to point out these parents are former students of the yeshivos who for various reasons are no longer living the lifestyles of the yeshiva and want to take out their frustration on today’s students. Why are they afraid to say who they are? perhaps it would take a minute to see right thru their agenda! חייב אדם ללמד את בנו אומנות was historically implemented one year or so before getting married, where a boy was taught an אומנות נקיה וקלה – an easy and honest vocation. Quoting this חז”ל as though it mandates secular education from the earliest years of a child’s Chinuch is a perversion of the intent of those who said it. To be fair, there is nothing wrong with opening a vocational school for older bochurim / girls (preferably after they have concluded their studies in Yeshivah. In fact the Rebbe wrote this regarding Touro college. ואכ”מ להאריך). But to promote secular education in elementary and high schools and even in Yeshivah Gedolah’s against the well-known opposition of halachah under the guise of concern for Yiddishkeit is just another form of the Haskalah. WHICH Yeshivas were reported? Anybody??? Yeshivahs take lots of government money. Lots. Therefore the government SHOULD impose their educational ststandards on all schools they help fund. 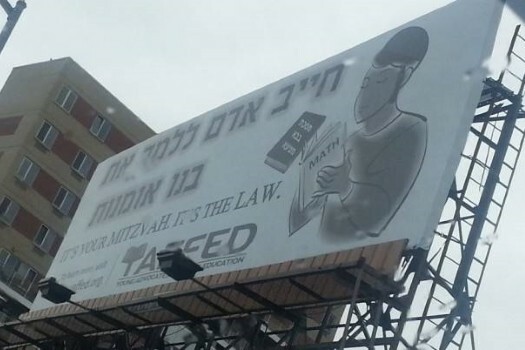 If yeshivas can’t meet state or federal standards, or choose not to, no money. We as parents make our own choices based on Torah values and the government enforces its choices based on its values. So separate from the government coffers and no problems. There is no case here. 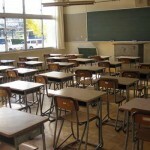 The law says private schools have to educate4 on par with public schools. Maybe you haven’t noticed but the most laughable aspect of this is that most public school students struggle to read and/or write. Yeshivos leave leave them in the dust in this regard. And all those Yeshivoh graduates who complain they cant read or write. Guess what!?! There are secular private school students who also can’t read or write, because they never cared to. Suddenly you care to, and instead of admitting you were an idiot who didn’t care to even pick up a MACHANAYIM book to advance your reading, you blame Yeshivos?! Those students who excel in reading and writing (math etc) are more often than not ahead of their schooling. Speakers of lashon horo, scoffers and mockers of the Rabbis generally struggle with reading and writing. Either way, these moisrim have no case. Yeshivoh students do better in secular subjects they’re not even taught than most public school kids who are taught these subjects exclusively. There are numerous [funny] videos online of people asking adult passersby basic questions they should have been educated about, and most don’t know. Many middle-class white private school graduates don’t know which US wars were which even though they have subjects dedicated almost exclusively to this. You get a better education in Yeshivoh without secular studies than you do in goyishe schools. Anyone who is of the opinion that this is or might be a good thing, please read up a little on the history of Chabad and of the Rabeim. This is the EXACT situation that our Rabeim put their all their matters aside, and fought against it with Mesiras Nefesh. They risked their lives for it in the most literal sense, they spent time in jail for it etc. etc. You can read the actual letters of the Rebbe RaShab, you can read the writings of the RaYatz about the stories of the Tzemach Tzedek etc. The question of learning Limudei Chol and the question of the Government intervening in our Chinuch are 2 total separate and distinct questions. We may have problems we may have big problems, whether our problems (education, jobs etc.) are better or worse than in the secular world is a matter of opinion or debate. 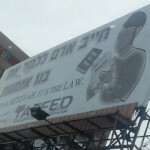 But in our history when ever people wanted the government to interfere with our Chinuch and education, no matter what the intent of those seeking their interference or whether or not they had valid concerns, the results were ALWAYS disastrous, and our Rabeim fought it putting their own life and the entire Lubavitch movement on the line. So the stand of Chabad Lubavitch is clear: NEVER EVER get ANY government involved when you are trying to solve internal issues in the Chinuch of Tinokos Shel Beis Raban. If you agree with Lubavitch and its leaders or you disagree or if you celebrate the days that the Rabeim made it out of prison alive or not, that is a different story. As one that went to a Yeshivah that did not teach secular subjects, I find it very difficult to understand Halacha, and as a rabbi, it is a struggle to not embarrass myself in public. I have not made the same mistake for my own children, thet are being taught secular subjects, and I find that it helps them a lot to understand the Torah and the Gemarah. I dont undertand why is there a problem to begin with. the Rebbe said al taharas hakodesh. so this is what it’ll remain! From the time the Yidden entered Eretz Yisroel, until this very day, each and every time Yidden went to goyim to help them with their gripe against other Yidden, the end result was disastrous for all Yidden–including those who solicited the goyim against Yidden. Hashem Yerachem. Select a random group of 10-15 students from XYZ yeshiva. Interview them individually. Ask them what they learn, and farher them on their learning. Does the child know such and such from Jewish history? Can they read and understand Hebrew? Can they write a coherent short essay in Hebrew on some Jewish topic? Basically, I would want to know if the education the student is receiving is actually giving him some tools with which to think and communicate. Some children who attend our chareidi yeshivos choose, as young adults, to continue their education in a secular field, and some of them have gone on to do well in law, medicine, and other professions. Some children move into business. Some become employees for others and earn modest incomes. And some end up on gov’t pgms. But the same can be said about students who attend public schools: some do well, some so-so, and some fail to get much education at all. So it seems the actual material taught is not so relevant. What IS relevant is whether any *learning* is really taking place. And, yes, I believe the wider society has some vested interest in ascertaining that in schools / yeshivas, learning is taking place.